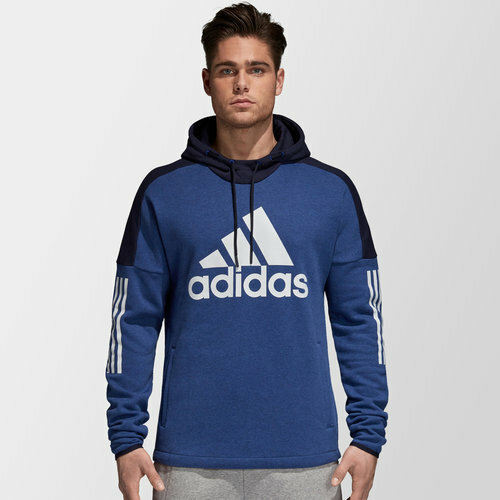 This warm pull-over is ideal for pre and post game relaxation so make sure you grab the Sporting ID Logo Hooded Sweat in Mystery Ink Melange and Legend Ink from adidas. This adidas hoody will help to keep you warm as it covers you in the comfort of soft fleece. With an elongated back hem and a high neck for extra coverage against the chill, this hoody is perfect to help you stay in the right mind-set.